Every year over 40,000 Canadians in more than 160 communities across our county lace up at the MS Walk to raise vital funds for people living with Multiple Sclerosis. 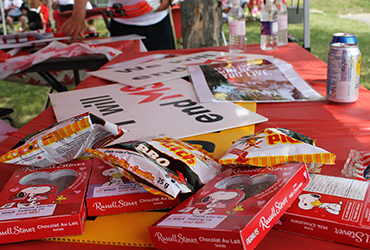 This family-oriented, community-supported event offers walking routes of varying lengths – including a wheelchair-accessible route and features start/finish line activities such as inspiring words from MS Ambassadors (people living with MS), BBQ lunch, entertainment, team awards and more. Old Dutch is happy to support this great cause.